As head of operations for Audi UK, Jones will have responsibility for new- and used-car sales, agreeing production volumes and network and franchise responsibilities. Long-serving Volkswagen executive Alison Jones is the new head of operations for Audi in the UK, the automaker said Tuesday. Jones moves to Audi from the Volkswagen Group, where most recently she coordinated an overhaul of the automaker's customer service center as UK chief of contact strategy for Audi, VW, commercial vehicles, Skoda and Seat. Jones joined Volkswagen in 1988, before moving to Exel Logistics fleet management and later to Unicam. She returned to the automaker in 1998 and took on roles in operations, customer services and finance. Between 2007 and 2010, she ran after sales and customer services for VW in the UK. In her new role as chief of operations at Audi, Jones will have responsibility for new- and used-car sales, agreeing production volumes, as well as network and franchise responsibility for the UK, Robin Woolcock, Volkswagen Group's managing director said in a statement. Audi UK delivered 99,828 new cars last year, and is currently leading premium-sector sales with just under 72,000 deliveries so far this year and a market share of 6.0 per cent. The UK is Audi's fourth-biggest global market. 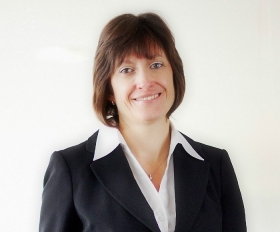 Jones succeeded the interim head of operations, Julie Evetts, who has left the carmaker.